People who live in China especially in 1960s can be exposed to the silk products when they are young. They never lack the products like handkerchiefs, scarves, clothing, handicrafts around them. The streets are always crowded with shops selling silk. Nowadays, mixed shops and numerous products make people hard to differ. Firstly, what is silk ?Silk products must be made by mulberry silk. But the developing of raw materials of textile, it is common to see that products made by mixing of synthetic fiber and man-made fiber as well as artificial silk. Silk is collectively called by nongovernmental. But strict speaking it is inaccurate. Silk is just one kind of silk products. It is a raw material. For example, selling silk shop is called silk shop before. So silk is not limited in silk. The following is a brief introduction about several main forms of silk products. The Luo silk weaving hair on the surface of fabric yarn with empty eye fabric called Luo silk. Varieties of Luo silk products are Heng Luo, ZhiLuo, HuaLuo. It is a pure silk product and features are elegant style,close texture,yarn hole ventilation. A good comfortable, cool material for summer. Silk plays an important role in silk goods. There are numerous kinds of silk goods. According to the raw materials, there are silk, tussah silk, silk class, synthetic silk fabric etc. Beautiful silk, silk twill, nylon silk are common to see in market. Beautiful silk is made by artificial silk. Its silk surface is colorful; its diagonal line is clear. The main use is to make silk of top clothes and accessories. Satin products is collectively called stain with many categories. 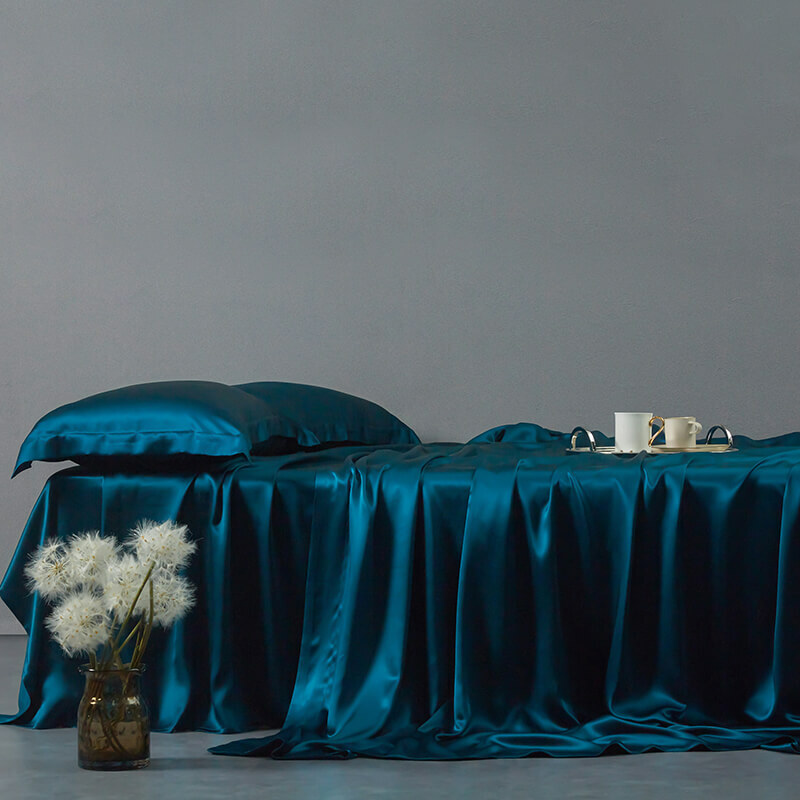 Satin products are the most comprehensive ones in silk products. The appearance is most colorful and the technological level is also the top one. Silken products has plain weave and thin texture. The common one is banded silk, silk screen etc. Banded silk can be made of women clothing, children clothing etc.It's easy to pill and it should not wash more. It has velvet on the appearance.The texture is toughness.The common market has Georgette,pleuche, ShenLi, ria velvet etc. The feature is feeling good and looks luxury. It can be made of curtain, window curtain,cheongsam and other clothes. Please be careful not to splash water droplets because velvet products are hard to wash.
Secondly, how to choose silk? Silk is colorful so it is important to be qualified with professional knowledge. At the same time, having an intuitive sense of beauty is another condition. Because the real beauty of things, in fact, it is to be found in the heart.Fabric,Pure silk material is shiny, soft touching and dense texture. Touching the skin is not discomfort.QC report,Regular silk products are checked by professional test. The related QC report tells us mulberry silk content,shrinkage and whether the silk products are qualified or not with rigorous data.craftsmanship,Printing and dyeing process and sewing shows the standards of the silk products. A good silk is hard to feel grainy and has clear and smooth pattern as well as has no ink jump. Sewing is the last step in the process when making silk. Hand making sewing is hard to find the stitches. Machine sewing is also strict with plain stitch.service,Regular store can provide regular bills and return service. At the same time warm, thoughtful, careful professional shopping guide will make the whole shopping experience more comfortable. Silk is one thing with beautiful sense like the yearning of the south of the Yangtze River. It is full of hazy and elegant halo. Hope people who like silk could have the graceful and delicate silk life.